One of the first steps in the funeral pre-planning process is gathering the right information. This may seem like a chore in the beginning, but securing your personal documents and papers while making funeral preparations can help offset future obstacles and give you peace of mind. 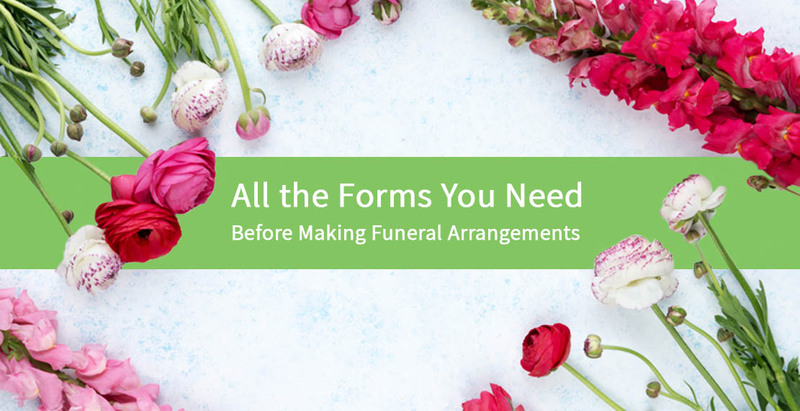 Arranging the necessary forms and your funeral arrangements is also a thoughtful gift for your family, and saves them from having to complete this complicated task after your death. 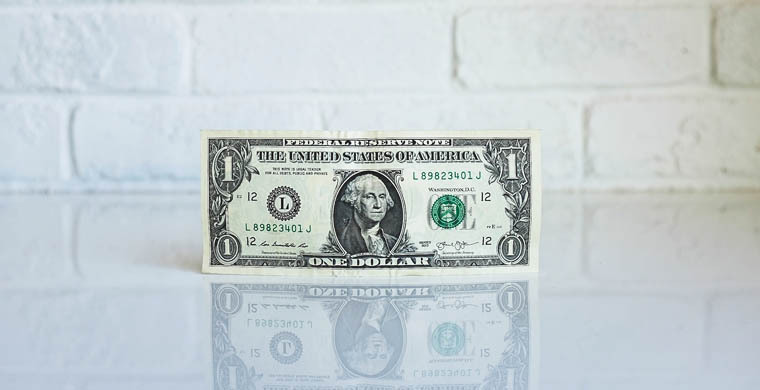 Assets include both personal and financial valuables, such as cash, bank accounts (savings and checking), retirement savings accounts (401K, 403b, IRA, etc. ), life insurance, mutual funds, stock and bond certificates, fine art, jewelry, and other personal property like cars and boats. Land and real estate holdings are also assets (e.g. personal or vacation homes, rental property, commercial buildings). 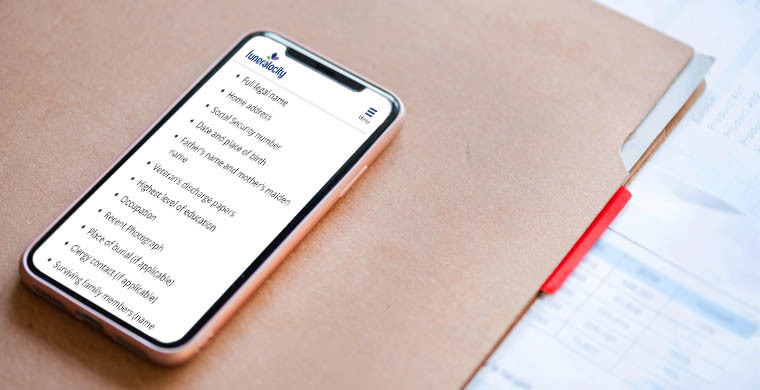 For funeral planning purposes, collect the respective statements, titles, deeds, and instruments of ownership for all assets, then store them in a personal vault or safety deposit box. Liabilities include all outstanding debts, like mortgages, credit card debts, student loans, auto loans, medical bills, tax payments, outstanding bills, and personal loans. Check each loan, bill, and credit card statement to figure out how much you owe, as well as the applicable interest rates on your debt. This will help to determine how long it will take to pay off everything based on your current payment schedule. Keep in mind that most debts don’t disappear after you die. In fact, outstanding liabilities are usually paid out of the deceased’s estate, depending on the total net worth of the estate. If you don’t already have an estate plan such as a will or a trust, collecting all your assets and liabilities information gets you halfway there. If you have an existing will, it’s important to share this information with a trusted family member so it’s a known fact in the event of your death. A will usually names an executor and beneficiaries, and documents your final wishes on what should happen with your estate. A trust is similar to a will, but it doesn’t allow you to name a guardian for dependents. Note that a will is usually opened weeks or months after a death, so don’t include your funeral arrangements (or any instructions that need to be carried out immediately after you die) in the will. 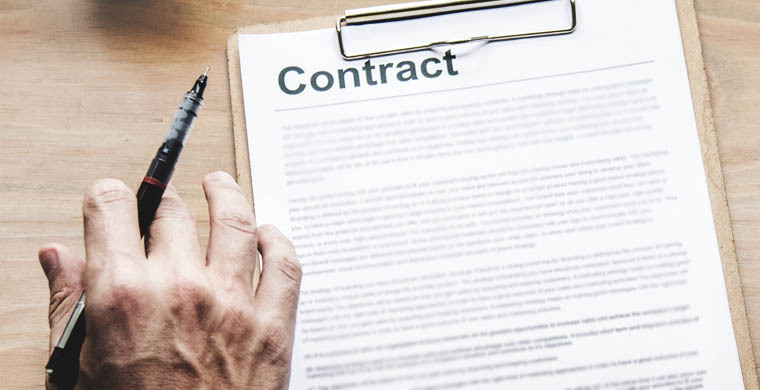 Entrepreneurs who manage their own business – or are members of a partnership or corporation – need to collect all the forms detailing their business dealings. These documents include legal contracts, business licenses, company loans, bank and investment statements, dividend records, audit reports, and business tax returns. These days, almost everyone has an email address or Facebook profile, but some digital assets are incredibly valuable financially. It’s crucial to have a plan that manages your digital legacy. Digital assets include personal and business online accounts and profiles such as email addresses, social media profiles, websites, blogs, apps, entertainment accounts, etc. A funeral plan details your final wishes and preferences for your funeral, burial, or cremation service. Arranging your funeral in advance allows you to document a customized plan for exactly how you want things done after you die, and provides peace of mind for you and your family. After you finalize your funeral plan, make sure you share the written instructions with someone you trust. While it’s not advisable to store funeral instructions with your will or trust documents, let the estate executor know about the contents. Be sure to send them a notarized copy, which ensures that an official record of your funeral preferences exists. Losing a loved one is a traumatic experience, and it’s often hard to cope with the significant loss while dealing with their final affairs simultaneously. If the deceased did not write a funeral plan, the person responsible for making funeral arrangements will need to gather specific information and paperwork in order to make burial decisions, as well as answer questions from outside parties. If the deceased person wrote a will, the executor is responsible for collecting all necessary information to make beneficiary distributions and perform estate management duties. If there is no will, the person who makes the funeral arrangements is often the same person who needs to close out accounts, file taxes, and pay any outstanding bills including the final funeral and burial costs. Transfer Authorization Form (needed to pick up the deceased’s body from place of death). Whether you’re making your own funeral plans in advance or making funeral arrangements for a loved one, staying organized is key. Make copies of the documents you collect and store all original paperwork in a safe location. Most importantly, share your plans with a trusted family member or close friend so your end-of-life preferences are known. This goes a long way to ensuring a smooth transition when the time comes.